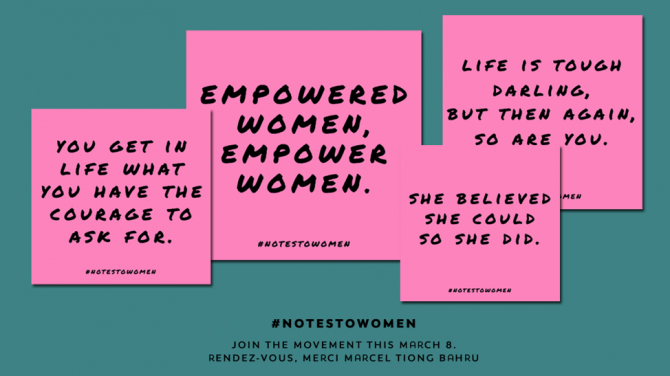 Popular French eatery Merci Marcel is partnering with women’s rights advocacy group AWARE this International Women’s Day to launch #NotesToWomen, a movement to spread positive inspiration among women. Visit the cafe on 8 March, from 8am to 9pm, to write a little note with an empowering message, and post it up on the “Women’s Wall” the cafe will set up specially for the event. Don’t forget to take a photo of your note and share it on Facebook or Instagram (tag @awaresingapore and #notestowomen), because Merci Marcel will donate $3 to AWARE for each photo! What a great cause to participate in while you get brunch at the cafe!